When it comes to track ready road cars, every petrolhead knows that Porsche’s GT series should be first on your list, whether it be the 911 GT2, GT3 or Cayman GT4, a variety of packages are offered to please any track day enthusiast. The issue some owners face, is that while they love their GT3, it does look more extravagant than most high-end sports cars, looking more at home on a racetrack, than cruising the highways or parked in the city. For these drivers the new Porsche 911 GT3 Touring has been announced, that is all the GT3 you could want, with more tame looks. Who is the Touring Aimed At? The decision to include a Touring variant of the GT3 was made by Vice President of Motorsport Dr Frank Walliser and the Head of GT cars, Andreas Preuninger. At the Frankfurt Motor Show, Walliser was quoted saying, “We were in the kitchen at our office and Andreas [Preuninger] said we had to do something with the GT3. The customers wanted it”. Walliser went on to further explain the need for a Touring model by saying, “We know that for a number of our customers that the standard GT3 is too much. Not in terms of performance, but in how it looks. They can’t be seen driving such an extravagant car, but they don’t want to give up their GT3”. The GT3 touring is not an all new car offering by Porsche, but rather is a no-cost optional package for your standard GT3. You’d be hard pressed to find any real differences between a standard GT3 and a Touring, the only noticeable difference is that Porsche has opted to delete the fixed rear wing on the touring, giving it a less aggressive silhouette that reflects the design of the classic 911 shape. 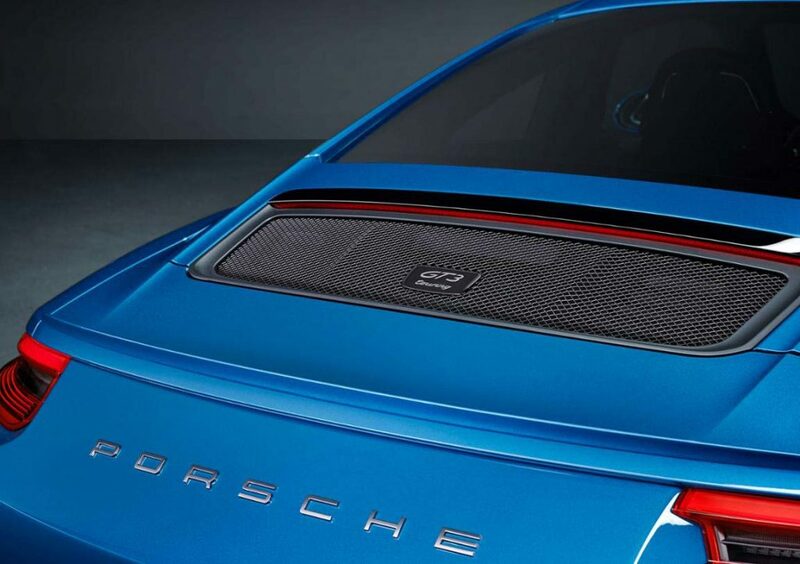 In place of the wing, the Touring gains a retractable rear spoiler that automatically deploys at high speed, and a new mesh grille that is branded with a GT3 touring plate. The Touring shares the exact same engine as the GT3, a naturally aspirated 4-liter flat-six with a redline of 9000rpm which outputs 493 bhp and 347 lb. Ft of torque. 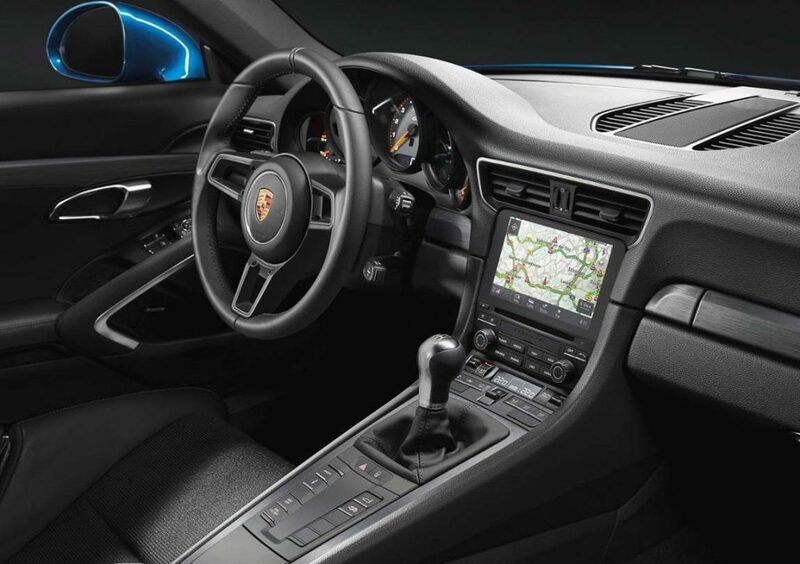 Fans of Porsche’s fantastic new PDK-gearbox will be disappointed to know that the Touring is exclusively mounted to a manual gearbox that sends all the power to the rear wheels. Without the fixed wing and PDK-gearbox, the Touring does a 0-60mph sprint in 3.9 seconds, a full 0.4 seconds slower than the GT3 when equipped with a PDK-gearbox, however this sprint time is on par with a manual GT3. The Touring has only one real performance shortfall when compared to its GT3 sibling, its top speed has recorded to be 196 mph, 2 mph slower than its sibling. 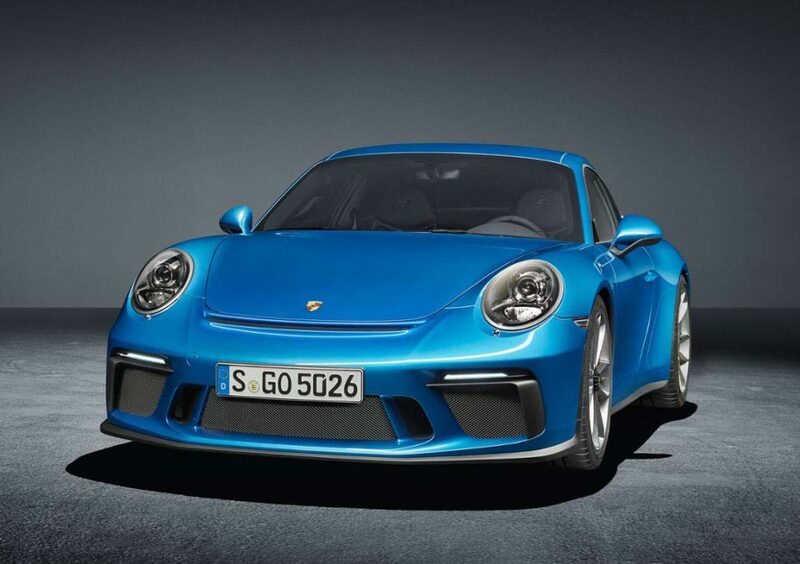 Aside from the manual gearbox, the Touring maintains all the drivetrain and suspension components from the GT3. This includes rear wheel steering, torque vectoring limited slip differential and the adaptive chassis and dampers. This is where the Touring truly sets itself apart from the GT3. The Touring leaves the race ready interior to the GT3, opting not to include a roll cage and finish the seats in leather with fabric inlays. Keeping true to its namesake, the touring still will not include any rear seats. There are only three omissions on the Touring’s optional extras page which are, the PDK transmission, Alcantara Trim and the Club Sport package. This means you can still opt to have bucket seats, the Sport Chrono Package, front axle lift system and carbon-ceramic brakes. The GT3 Touring is more than just a visual package, because of the change in aero the Touring produces less downforce and drag and must be fitted with all new ECUs and wiring looms to accommodate the standard Carreras retractable wing. The Touring is at its heart, still a proper GT3, but does offer a completely unique driving experience than its sibling. Walliser has stated that the touring package is already available, with several customers already opting for the Touring package, and believes out of all new GT3s sold, 20% of them will be the Touring Variant.